The 28-year-old now has three career victories, adding his second major title. Brooks Koepka told anyone within earshot this week that no one was more confident than he was when the field of 156 arrived at Shinnecock Hills Golf Club for the 118th edition of the U.S. Open. 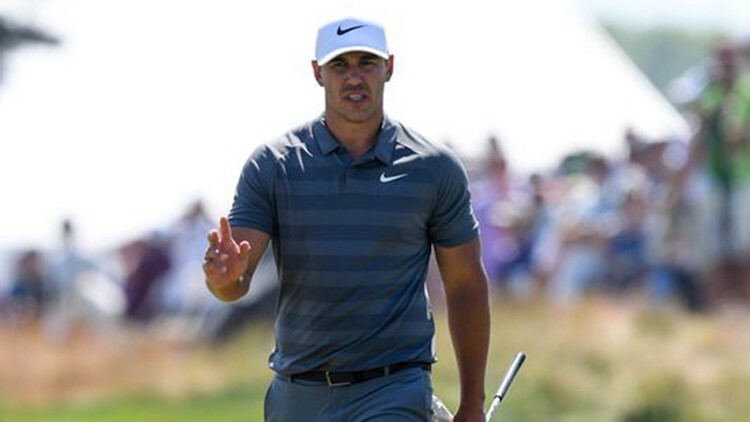 Koepka became the seventh player to win the national championship in back-to-back years with a final-round 2-under-par 68 Sunday to hold off Tommy Fleetwood by one shot. Koepka, who won his first major in the 2017 U.S. Open at Erin Hills in Wisconsin, shot rounds of 75-66-72-68 to finish at 1 over. Fleetwood, who finished in a tie for fourth at Erin Hills, came rushing home with a 63. He missed a 9-footer for birdie on the last hole, keeping him from becoming the first to shoot 62 in U.S. Open history. World No. 1 Dustin Johnson, who led by four shots after 36 holes, three-putted six times on the weekend and fell back to third place at 3 over with a final-round 70. Masters champion Patrick Reed grabbed a share of the lead with five birdies in his first seven holes but couldn’t sustain his charge and finished fourth at 4 over with a 68. One of four players to share the 54-hole lead, Koepka broke from the pack with three birdies in his first five holes and added a crucial 4-footer for birdie on the 16th to keep his rivals at bay. Just as important for Koepka, who never gave up the outright lead after the ninth hole, were par saves from six feet on 12 and 8 feet on 14 and a bogey save from 15 feet on 11. Throughout the week, Koepka walked with a confident step. His conviction didn’t waiver after an opening-round 75, didn’t tremble during a brutal test of survival in the third round when grueling Shinnecock, high winds and quick greens shook most everyone else. His left wrist, which he dislocated on two different occasions earlier this year, was of no concern, and he didn’t cower from his final-round pairing with Johnson, his fellow Bash Brother and workout mate. So he didn’t sweat when his wrist injuries knocked him out of action for nearly four months this year, a break so long that he forgot where he left his golf clubs. When he returned, the wrist wasn’t 100% and he reinjured it again in The Players Championship. Still, he tied for 11th in The Players and finished second in the Fort Worth Invitational. And he didn’t sweat historic Shinnecock. Just as Erin Hills was last year, the course seemed ideal for Koepka, whether it was playable or not. It was playable Sunday after the USGA, which admitted it had erred in setting up the course for the third round and the course became an unfair test late in the day, said it watered the greens Saturday night and Sunday morning to slow them down. The USGA also adjusted some of the pin locations, locating 11 in the middle of the putting surfaces.